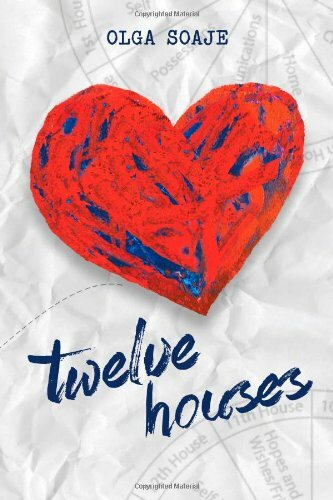 Twelve Houses by Olga Soaje tells the story of Amelia Weiss, a sculptress who loses her husband of thirty-five years suddenly and is faced with rebuilding her life, family, and career without him. [W]hen her daughter reaches out asking for her help and her agent threatens a lawsuit if Amelia doesn’t deliver for an upcoming exhibit, she’s forced to make a choice. Will she reengage with her life and the people in it—allowing room for things to be different than they were before? Or, will she remain stuck in the past, choosing her memories over real-life relationships? Soaje’s characters are well-developed and relatable; her writing is clean and a pleasure to read. The story flows naturally in all its directions yet is neither predictable nor cliché. I thoroughly enjoyed this book, and if you like tales of self-discovery and personal growth and also believe that there are no coincidences in life, you just might too. I look forward to reading more by Soaje.